Anyone who knows me knows that I have a bit of an addiction to tea. I love green, white, red, fruit and herbal tea and own about 30 different kinds. However, in the last year I have really developed a strong appreciation for good coffee too. I love creamy flat whites, milky lattes, zesty americanos and pretty much everything in between as long as it's of high quality! 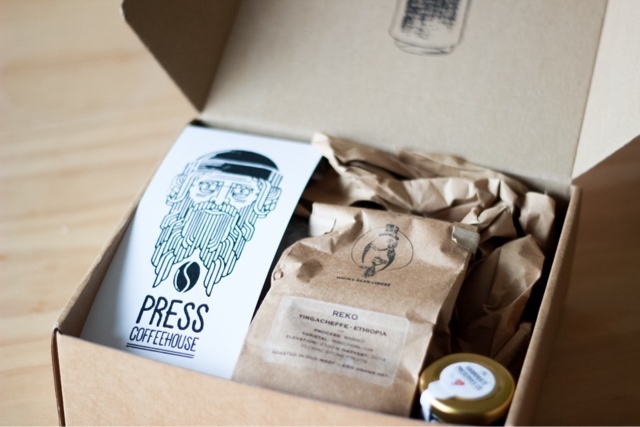 The guys at Press Coffee House have very kindly sent me some of their coffee to try and before I tell you about the actual coffee I must say I completely fell in love with their packaging and design. 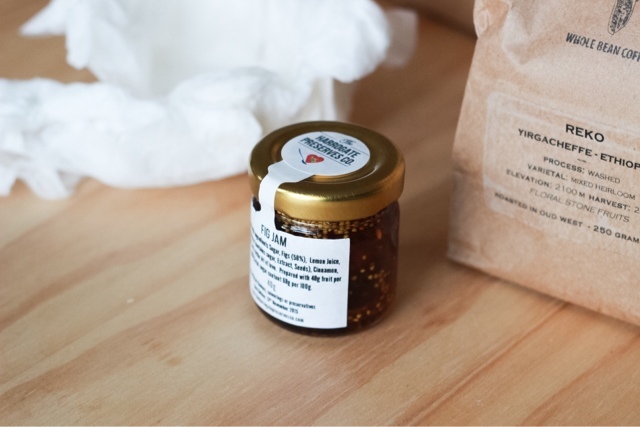 They also included a cute little taster pot of fig jam from Harrogate Preserves Company. 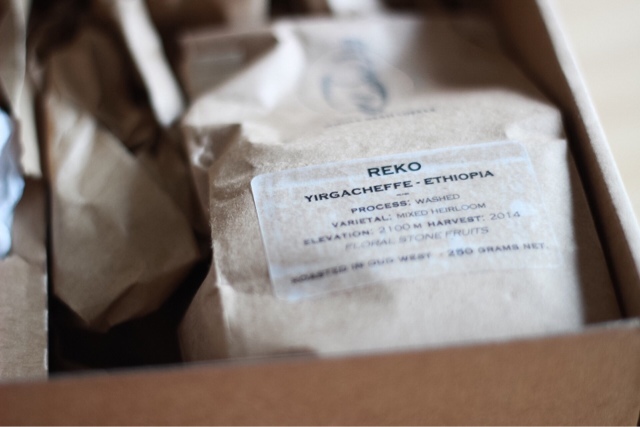 The coffee I got sent was Yirgacheffe Reko (Ethiopia). 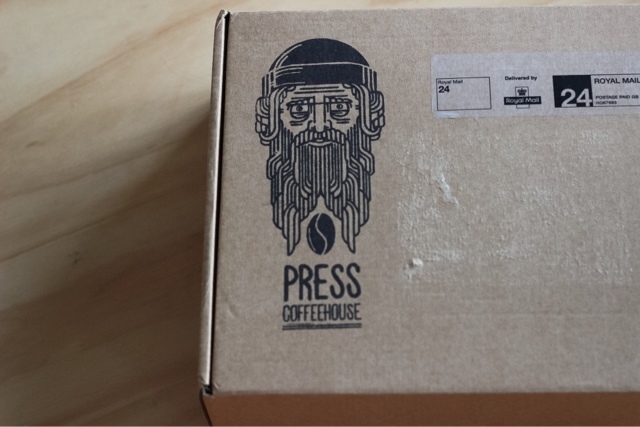 The coffee is really smooth and zesty with undertones of mango and peach. 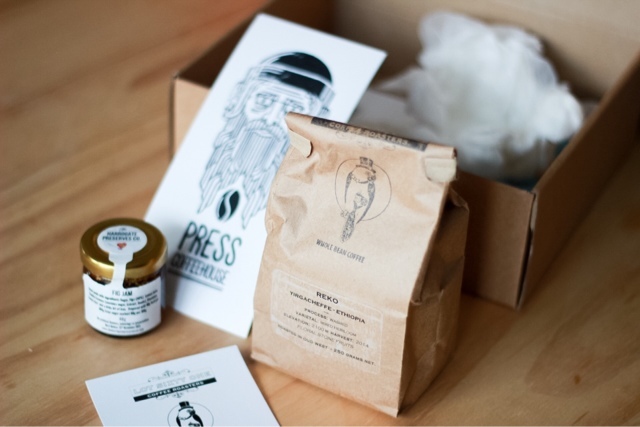 Unlike some coffees which can leave a velvety finish on the tongue this coffee tastes clean and crisp. It's not a very strong coffee which I really like as too much caffeine can leave me feeling a little jittery. You can buy a 250 grams bag of Reko for £7.50 which I personally think is really worth it as this coffee has such a lovely distinctive taste. It really is a treat in the morning!